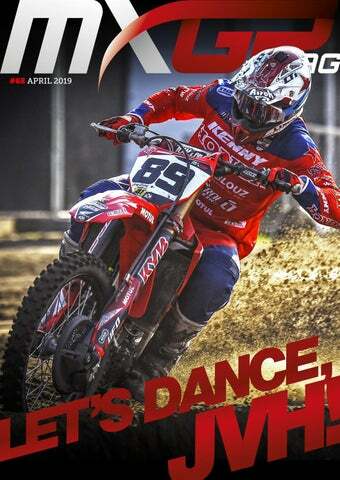 MXGP MAG Chief Editor: Marionna Leiva Photos: Youthstream YOUTHSTREAM Media World Trade Center II Rte de Pré-Bois 29 1215 Geneva 15 Airport Switzerland MXGP Mag #68 April 2019 The articles published in this magazine do not necessarily reflect the official position of Youthstream. The copying of articles and photos even partially is forbidden unless permission has ben requested from Youthstream in advance and reference is made to the source (©Youthstream). Then content of this publication is based on the best knowledge and information available at the time the articles were written. Dear MXGP Friends, This month I would like to talk about a very important issue, which is riders’ safety. Since Youthstream promotes Motocross events our main goal is always the riders’ safety and naturally the safety of all involved. Over the years we have made a lot of improvements compared to how Motocross tracks were before which had trees or other obstacles. Our philosophy from the beginning was ‘safety of the riders is much more important than a tree’, although we believe we can talk about safety while respecting the nature, so every time we cut a tree for the safety we plant 2 or 3 trees in the paddock. MXGP and MX2 have now crossed off 3 stops on the 2019 calendar from round 1 in Patagonia Argentina to rounds 2 and 3 in Great Britain and the Netherlands. The first Fox Holeshots of 2019 in Patagonia were recapped in the last edition of MXGP Mag with Julien Lieber taking both in MXGP and Red Bull KTMâ&#x20AC;&#x2122;s Tom Vialle and Jorge Prado at one a piece. Within the following two rounds of racing 8 Fox Holeshots have been tallied and the first to cross the chalk have been awarded with both the early and ever so important advantage but also the black Fox Holeshot plates. MXGP MXGP OF GREAT BRITAIN While the first round of the Fox Holeshot MXGP competition was taken by Monster Energy Kawasaki Racing Team’s Julien Lieber, the 2018 overall competition winner, Antonio Cairoli from Red Bull KTM Factory Racing returned to his former ways at the British circuit of Matterley Basin. Without the same poor gate positioning he had in Patagonia, Cairoli lined up in the eighth gate from the far inside during race 1 at Matterley. The pick lined him up well for the apex of turn one and Holeshot after he rocketed out of the gate nearly two bike lengths ahead of Team HRC’s Tim Gajser. For MXGP Race 2 he picked the same gate and had the same result edging out Monster Energy Wilvo Yamaha MXGP’s Gautier Paulin and Gajser by a slightly closer margin of about one bike length. The pair of strong starts tied him with Lieber but gave him the lead as the most recent rider to Holeshot before the series continued onto Valkenswaard and the MXGP of the Netherlands. MXGP OF THE NETHERLANDS Back in his usually leading position Cairoli’s Qualifying race win gave him the first pick for Sunday’s pair of races. Lined up in the far left gate Cairoli took a good jump in race 1 to fade right as the field entered the start’s chicane. With the Holeshot line set between the start’s left and right turns Cairoli took his 3rd black plate. Race 2 again had Cairoli lined up in the 1st gate where he led both Gajser and Standing Construct KTM’s Ivo Monticelli across the chalk. With the 4 Fox Holeshots of 6 possible Cairoli has used the advantage for his 3 overall wins. This same result came in race 2 as the young Frenchman kept his KTM’s power to the ground. Vialle crossed the chalk line by less than half a bike length over Walsh to earn his 3rd black plate of 2019. Prado’s pair of holeshots over first Olsen and later F&H Racing Kawasaki’s Henry Jacobi again tied him with Vialle at three a piece but Prado now leads the standings prior to Trentino since the most recent holeshot is used as the tie breaker. MXGP OF THE NETHERLANDS The Dutch edition of the Fox Holeshot saw the return of Prado and accordingly the standings changed with the Spaniard’s perfect starting technique. Starting in the far left and first inside gate, just like his MXGP teammate Cairoli, Prado took both race holeshots in almost identical fashion with the only difference being who was second behind him. AFTER A BRIEF INTERMISSION TO RECOVER FROM THE MXGP OF PATAGONIA, ARGENTINA, THE BEST MOTOCROSS RIDERS IN THE WORLD RETURNED TO ACTION FOR THE FIRST OF ‘THREEIN-A-ROW’ STARTING WITH THE MXGP OF GREAT BRITAIN AT MATTERLEY BASIN BEFORE HEADING ON TO VALKENSWARD AND TRENTINO. IN THIS ISSUE WE WILL JUST COVER THE BRITISH AND DUTCH RACES BUT AS ALWAYS, THERE WERE PLENTY OF TALKING POINTS ARISING FROM EACH ROUND, SO LET’S START WITH MATTERLEY BASIN. MX2 CHAMP. STANDINGS 147 p. 125 p. 103 p. 102 p. 102 p. 92 p. 78 p. 64 p. 62 p. 56 p.
138 p. 136 p. 113 p. 109 p. 102 p.
136 p. 113 p. 107 p. 100 p. 95 p. 86 p. 81 p. 65 p. 63 p. 60 p.
YOUTHSTREAM PROUDLY ANNOUNCED A BRANDNEW EVENT AND VISION FOR THE FUTURE OF RACING DURING THE MXGP OF THE NETHERLANDS IN VALKENSWAARD LAST WEEKEND. Jorge Viegas, the newly elected President of the FIM, took part in the conference as well during his first MXGP visit and enthusiastically said, “I am very happy that the FIM is starting to provide competitions for electric bicycles. The first ever FIM E-XBike World Cup will allow a new generation of riders to take part in these exciting races. Thanks to the support of our promoters Youthstream and Infront, the Italian Federation and the Imola circuit, the FIM will be able to offer the public who come to the MXGP in Italy the opportunity to discover a new type of competition. For the FIM it is a reoccurring story because the first motorcycles were based on a bicycle frame, with the addition of a motor. In recent years the electric technology has evolved considerably, and we are convinced that the FIM E-X Bike World Cup will offer the manufacturers a great platform for further development. An E-bike round table meeting will also be organized in Belgium at Metet MX circuit the 9thof June in conjunction with another E-Bike/ Pedelec race organized under the authority of the FMB.” Continuing the tradition of progressing racing and two wheeled sports Youthstream is excited to work with both the FIM and the manufactures to promote this new era. While still a work in progress the future possibilities are endless with 2020 possibly even hosting a series of races to create a championship if all goes well. The announcement of the new race also provided MXGP with the first visit of FIM’s new President Jorge Viegas who shared his excitement for motocross following the E-XBike presentation inviting media to join him again for another conference introducing the FIM and their commitment to the Motocross World Championship during the Monster Energy MXGP of Lombardia. More information on the 2019 FIM E-XBike World Cup including new developments, rules, and structure will on follow MXGP.com along the newly dedicated Facebook, Instagram, YouTube pages. L A I C O S P G X M Monster Energy Wilvo Yamaha Official MXGP is the featured MXGP team from the MXGP of the Netherlands at Valkenswaard. We talk with riders Gautier Paulin and Arnaud Tonus about the 2019 season. Team manager Luis Vosters speaks about the team and new workshop as well! @FIM_live The brand-new #FIM #EXBike World Cup will be launched during the 2019 #MXGP of Italy in Imola this August!
! E C N K A E D E B S â&#x20AC;&#x2122; E T R LE N HO A V J. For those who don’t know, after 13 years of racing GP’s Van Horebeek was left without a ride at the end of the 2018 MXGP season which he finished 9th overall on the year. Van Horebeek’s GP career officially started at the 2006 Grand Prix of Belgium in Namur when he rode his first MX2 event taken 27th. 3 years after his first GP the Belgian took his first ever and only MX2 win at the Grand Prix of Catalunya. 27 EXPERIENCED AND VETERAN MXGP RIDERS ENTERED INTO THE PREMIERE CATEGORY OF THE 2019 FIM MOTOCROSS WORLD CHAMPIONSHIP PRIOR TO THIS YEAR’S SEASON OPENER IN PATAGONIA ARGENTINA BUT THE LATE 28TH EXPERIENCED ENTRY IS OUR FEATURED RIDER THIS MONTH. THE #89 HONDA SR MOTOBLOUZ RIDER JEREMY VAN HOREBEEK MIGHT HAVE RECEIVED A LATE DATE TO THE PARTY OF MXGP BUT HE HAS PROVEN TO KNOW HOW TO DANCE BETTER THAN EVER BEFORE. Neuquen in Patagonia. While Jeremy had ridden the Honda for the Le Touquet, conditions and demands in MXGP where entirely different leaving the team well behind in testing and preparation. “Le Touquet is one thing but it is not what I was born for, I was born to race motocross. We had no time to test, I had two days on the bike before it shipped out and then all I could do is some trainings on a pedal bike,” JVH remembers. As the weekend progressed in Argentina the speed of the Belgian turned head after head all the way up to when he crossed the finish line achieving a triumphant and emotion packed podium result. “I was really happy about that day, I thought it could be possible, but it turned out even better. It was an emotional day because everybody thought I was done but I knew deep down that I wasn’t done.” As the season now progresses past the MXGPs of Great Britain, the Netherlands, and Trentino this weekend, Van Horebeek has continued to ride at the highest level. Following the 4th round of MXGP in Trentino the #89 will have the opportunity to train, test and prepare his Honda for longer than ever before, meaning that when racing returns “Jerre” may have a whole new set of dance moves! SVEN ‘MX3’ BREUGELMANS BELGIAN SVEN BREUGELMANS HAS BEEN ONE OF THE MOST SUCCESSFUL RIDER IN THE SHORT HISTORY OF THE MX3 WORLD CHAMPIONSHIP, AS HE CLAIMED TWO WORLD TITLES AND TWO SILVER MEDALS IN THIS CLASS AFTER SEVERAL SEASONS RACING THE 125 AND MOTOCROSS GP CATEGORIES. Born on the 12 of August 1979 in Turnhout, Belgium, Sven Breugelmans entered for the first time a World Championship event when he was 19 years old, scoring his first points at Indaiatuba, Brazil, in 1999. He collected several points during that first season, and slowly but surely improved his classification during the following years with a first “highlight” in 2000 when he crossed the finish line of the first 125 race at Grobbendonk in second position! He had for the first time the honours of a GP podium in 2001, when he finished second at Genk – again in his native country – behind Grant Langston. Twelfth of the 125 World championship, his best ever performance so far, Sven signed for 2002 his first pro contract with team Suzuki and was supposed to race the new Motocross GP class – former 250 – as team mate of Mickael Pichon but he broke his leg during a pre season event and finally missed the entire season due to several surgeries. His 2003 campaign was also ruined by injuries, but luckily for him he got a call from former World Champion Jacky Martens to join his team for 2004, representing KTM in the new MX3 World Championship. Scoring points in nine of the twelve races and collecting two podiums in Slovenia and Austria, he was in 2005 the main rival of reigning World Champion Yves Demaria. Neither Sven or Yves scores any point in three of the first four heats in France and Italy, but then they dominate their rivals winning eighteen of the twenty-four motos! Winner of his first ever Grand Prix in Rhenen (Netherlands) he collected three other wins that season and finally beat Demaria by a little margin – sixteen points – to get his first title. Demaria. In 2006 they won eight of the fourteen GP’s and Sven lost his title when he had to retire in one race in Slovenia, as his rival finally beats him by thirteen points. The scenario was similar the following season, apart the fact that they were not anymore racing for the same team; Sven was leading the series after his double win in Markelo but finally couldn’t resist to the rush of the Frenchman who got the title and announced his retirement after the final race. Twice runner up Sven was the favourite of the 2008 campaign, but he found on his way Christian Beggi and suffered a wrist injury at mid season. He had to wait the penultimate heat in Germany to secure his second World title; can we say that he was lucky, as he couldn’t race the last moto due to a technical failure during the sighting lap? 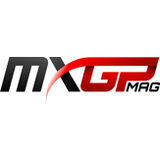 Official presentation of the MXGP of Turkey took place last month in Afyonkarahisar. 2	Fox Racing held the first ever live FOX 74 Show at the paddock of the MXGP of Great Britain! 3	Thomas Covington just couldn’t stay away and flew over from the US to visit the MXGP paddock in Matterley Basin. 4	World SBK rider Alex Lowes was at the MXGP of Great Britain supporting fellow Brits such as Tommy Searle! 5	Monster Energy drift driver Luke Woodham entertained the fans by rallying his truck around Matterley Basin! 6	Dunlop, Maxxis, and Pirelli’s trucks are rolling tyres to every round of MXGP in 2019! 7	Alpinestars Protects in style with this awesome racing service setup! 8	Kiara Fontanesi, though not racing, was all smiles at the first WMX round of 2019. 9	Maxxis’ new force with their racing service setup for MXGP in 2019! The team he raced for was Bieffe Suzuki and he was an instant success and became a household name overnight on both sides of The Atlantic when he won the world championship at his first attempt, and it’s this bike that we will feature in this issue of MXGP Magazine. AMERICAN RACER DONNY SCHMIT LEFT THE COMFORT OF HIS HOMELAND AT THE END OF 1989 AFTER RECEIVING AN OFFER TO RACE THE FIM MOTOCROSS 125CC WORLD CHAMPIONSHIP, DESPITE ONLY FINISHING FOURTH OVERALL IN THE AMA OUTDOOR NATIONALS. years production bikes. The ignition was Factory PIA. AS THE SEASON WENT ON IT WAS CLEAR THAT SCHMIT WAS THE MAN TO BEAT, AND BOTH HE AND MACHINE PROVED TO BE A RELIABLE COMBINATION. a little crazy with too many risks. We took him out to protect himself because he was going to hurt himself.’ Going into the final GP in Portugal at Agueda, Schmit held a 31-point lead over fellow American Bob Moore and the title was won in the first race with a win; Moore did not score in either race and the title was sealed with a 1-1 and Schmit’s fourth GP win. In total, Donny Schmit won eleven races from eighteen starts with his overall victories coming in Montevarchi (Italy), Ernee (France), Wohlen (Switzerland) and Agueda (Portugal). All of those victories were with doublerace wins. His three other race wins came in Germany at Laubus Esbach, Hatherton (England) and Killinchy (Northern Ireland), and he was by far the most dominant rider of the season. THE 21ST EDITION OF THE ANNUAL BAL DU PRINTEMPS (SPRING BALL) TOOK PLACE ON THE 21ST MARCH AT THE GENEVA’S HOTEL PRESIDENT WILSON WITH THE THEME OF GREECE – KALISPERA. The prestigious and high-class event was organized by the International Foundation for Research in Paraplegia (IRP) as a fundraiser. Started more than almost 2 decades ago, the IRP Foundation has organized several fundraising activities with goal of helping to finance the best and most cuttingedge research projects in the world. The projects IRP supports are also vetted then selected by a Scientific Committee of international experts whose main goal is to overcome paraplegia one step at a time. Youthstream has partnered with IRP for the past 4 years in the effort to raise funds with important and life changing work done as a result. The goal is to provide funds for both basic and clinical research in the field of paraplegia to contribute to and improve the lives of people affected by injuries to the spinal cord. IRP organizes numerous activities and initiatives throughout the year including projects aimed at raising funds for financing projects in the field of paraplegia, identifying the most promising research teams and projects, in both Switzerland and abroad, encouraging young scientists to focus their work on research towards paraplegia, promoting the exchange of information and cooperation between researchers, increasing public awareness of the progress of research and its applications, working with institutions, especially universities, pursuing the same goals, and providing support for other activities related to paraplegia, which would otherwise be neglected. This year’s charity event gathered 520 guests and managed to fundraise more than 300,000 Swiss Franc. This sum will finance neuroscience research projects that have been selected by the IRP Scientific Committee in Switzerland and around the world, in particular the STIMO clinical study – Stimulation of the spinal cord of paraplegic patients, led by Professors Grégoire Courtine and Jocelyne Bloch. The highlight of the evening in Geneva was Mr. David Mzee, one of the first patients to participate in the STIMO study, who arrived to the Hotel President Wilson standing, as testimony of his incredible experience that allows him today to walk on his own. This edition of the Bal du Printemps was held under the patronage of the Greek Embassy in Switzerland and including live singing from Mrs. Nana Mouskouri. The evening featured an amazing dinner prepared by Chef Michel Roth prior to the main Auction Sale led by Eric Valdieu and a concert by Tom Leeb, with the band Noneïm. The extremely successful Bal du Printemps and fundraiser will return to hold its 22nd edition in Geneva next year on Saturday the 21st of March.